The fantastic Tony Baker of Leeds City College has kindly included Petting Zoo Prints & Collectables again in his magnificent Flyposting venture. 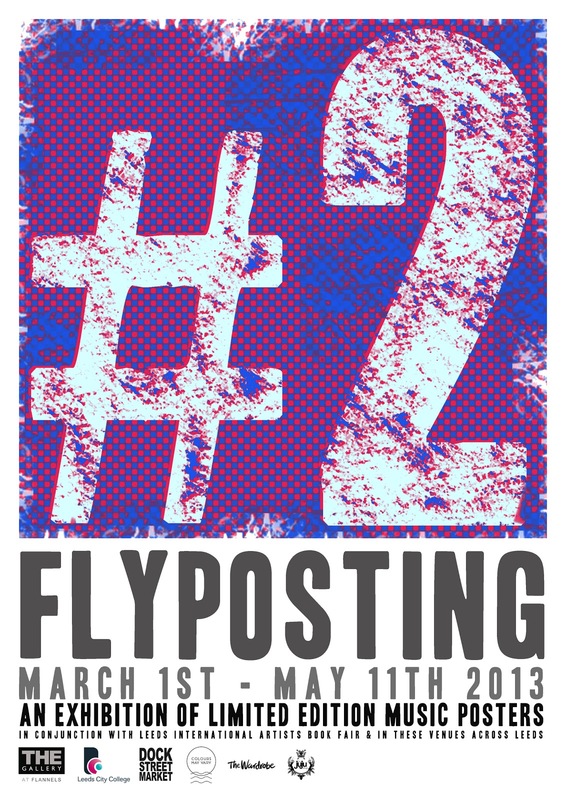 Flyposting 2 has grown since last year and as well as filling the walls of The Gallery at Flannels, it has spread to some cool boutiques and hotspots around the vibrant city centre of Leeds – The Wardrobe, The Juju Shop, The North Bar, The Reliance and Colours May Vary are all decked out with handprinted concert posters from all over the world… go on, get yourself along to Leeds for a butcher’s – its on now till May the 11th. A poster about posters… Thanks Tony for asking Petting Zoo to participate. Expect another post about this soon with a full list of exhibiting artists (its a cracking line-up – peak here if you can’t wait). This entry was posted in Exhibitions, Gigposters, Screenprints and tagged affordable art, art, collectables, colours may vary, exhibition, flyposting, Leeds, leeds city college, limited edition, petting zoo, print, Prints, screenprint, serigraphy, THE GALLERY AT FLANNELS, the juju shop, the reliance, the wardrobe, tony baker. Bookmark the permalink.